Yes! 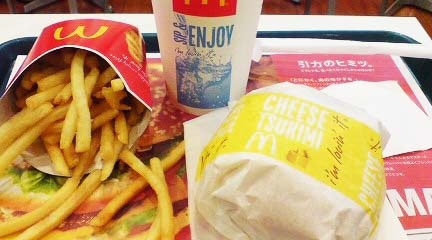 This is the season for Tsukimi(Moon-Viewing) Burger again. 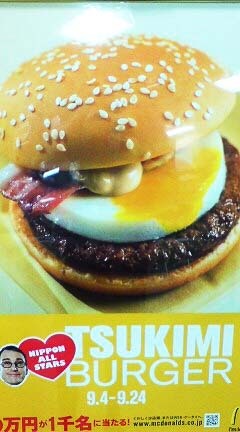 The one of autumn regular menus of McDonald’s is Tsukimi Burger which is hamburger with fried egg fillings in Japan. Ha ha that is hilarious! Oh no I am such a gaijin just like that! Ganbatte Ebo-chan!